ePub is an open standard format for ebook. This format is used to publish digital newspaper and magazines. ePub file format is similar to PDF files. But ePub files are more user-friendly and provides better view of text and optimized for various screen devices. To read the ebook, you need to have an ebook-reader application in your tablet, iPad or kindle. But what if you want to read ePub files in your browser as you can do with PDF and DOC files. In this post, you can find how to read epub books in Chrome or Firefox browser. Reading ePub books in Chrome is easy. You can either use a ePub reader Chrome extension or read the ePub books directly in Google Play. If you do not want to Install the Chrome extension, visit the Google Play Books and visit My Books section. Here, see the top right side of the page. 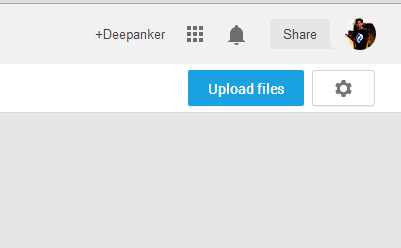 Here, you will find a button “Upload Files”. Upload the ePub file from here. And this ePub ebook will be available in My Books folder. You can upload or access the book only if you are logged in your Google account. And you need an active Internet connection. If you do not want to upload your ePub ebook to Google Play Books, install MagicScroll eBook Reader Chrome extension in Google Chrome. It is a nice ebook reader that lets you read ePub books direct from browser. It also works without internet connection. So, you can prefer this option over Google Play Books. After installation, go to magicscroll.net where you will see ebook library. Here you can upload new ebook to your library. 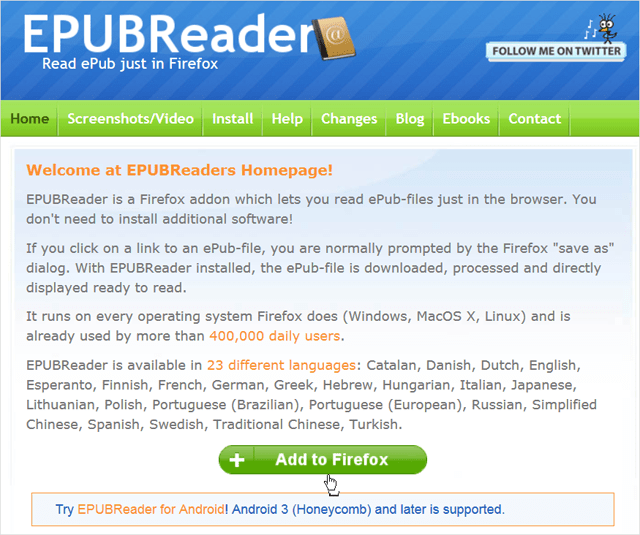 If you want to read ePub books in Firefox, download EPUBReader add-on. Visit the official website and install this add-on in your Firefox browser. After installation, this add-on adds a “book icon” at the top right side of the browser. When you click on ths icon, it open the add-on and a new tab where you can upload your book and search for new books online. To upload the new book, simply “Drag and Drop” your ePub file or click on “New Tab” and then “Open File”. There are few ways which you can follow to read ePub ebooks direct from your browser. In this way, you do not need to get an e-reader or tablet or install external ebook application.